A great brand is not a luxury, it’s a necessity, and LIV Sotheby’s International Realty’s reputation is second to none. Ranked the #1 Sotheby’s International Realty affiliate in the world, our brokerage has become synonymous with credibility, expertise, and access to places other brokerages can only dream of. While our competitors are in the business of selling, we are in the business of building relationships, earning trust, and positioning your property across a powerful global network to achieve record results. Since the founding of the Sotheby’s Auction House in 1744, the Sotheby’s name has been revered for marketing the world’s most valuable and desirable possessions. Today, its reputation extends into the realm of real estate and in a very real way, the prestige of the Sotheby’s brand becomes associated with your property. A bit of the legend rubs off. If you are looking to enhance the value of your home in Denver’s competitive marketplace, there is no better place to be. LIV Sotheby’s International Realty compiles monthly, quarterly and year-end reports to help consumers make better real estate decisions, whether purchasing or selling a home. 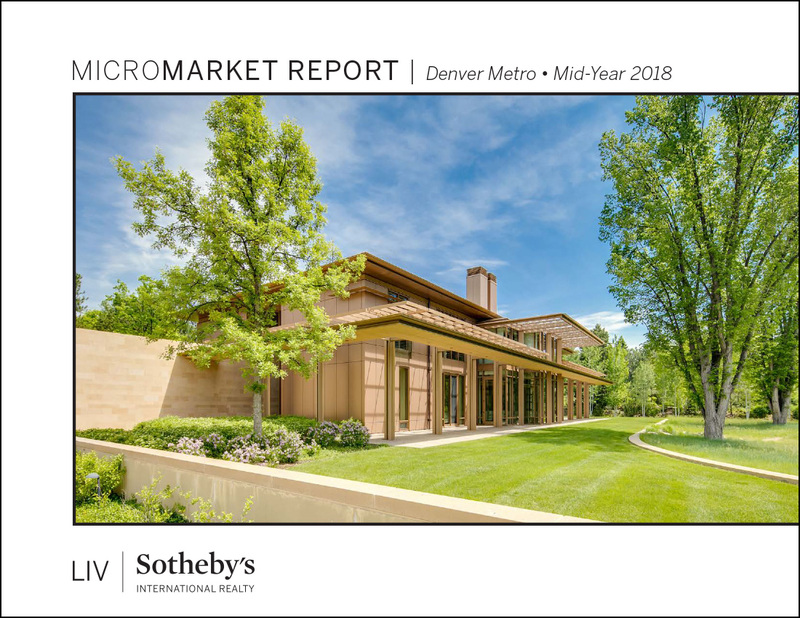 Take a look at the state of real estate in Denver to learn the details of current markets, find your ideal location, and plan your investments thoughtfully.